The two largest mobile operators, AT&T and Verizon Wireless, have 60 percent of the country's mobile subscribers and of revenue, the FCC found. In addition, the biggest continued to grow, together gaining 14.1 million subscribers in 2009, while the smaller T-Mobile USA and Sprint Nextel lost a net 1.7 million subscribers in 2008 and gained only 827,000 in 2009. Industry consolidation has grown by 32 percent since 2003 according to one measure, the agency said in the 237-page report. That trend alarmed at least one member of the commission, Michael Copps, who wrote in a statement on the report that the FCC should see the consolidation figures as "a bright caution light" to advance competition. "Competition has been dramatically eroded and is seriously endangered by continuing consolidation and concentration in our wireless markets," Copps wrote. The report also found that most of the best mobile spectrum -- those bands below 1GHz, which allow for greater coverage with fewer cell sites -- is overwhelmingly controlled by those same large providers. AT&T and Verizon Wireless together hold 67 percent of the 700MHz band and 91 percent of the 850MHz Cellular band, the report said. The FCC said it found conflicting figures from two different sources on network capital investment since 2005. But based on both, it concluded that investment had declined from 20 percent of industry revenue to just 14 percent, adjusted for inflation. Thursday's report was the first designed to review competition across all parts of the mobile wireless industry, including voice, messaging and broadband data services, and in terms of spectrum, infrastructure and devices. It does not give a clear-cut conclusion on whether there is enough competition in the industry. The FCC estimated 99.6 percent of the U.S. population is served by at least one mobile voice provider, while 95.8 percent is served by at least three providers. The figures for high-speed mobile data were less encouraging: Though 98.1 percent of U.S. residents have access to at least one mobile broadband service, only 76.1 percent, or 217 million people, have a choice of three or more, the agency said. While 90 percent of U.S. residents had a mobile wireless device at the end of 2008, the mobile voice market is maturing, the FCC said. 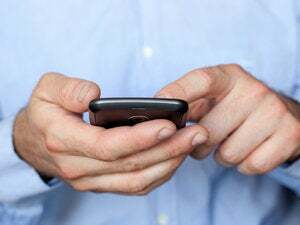 Americans used their cell phones to talk for an average of 709 minutes each month, but that number had fallen, possibly because of a greater reliance on text and multimedia messaging, the agency said. By failing to come down firmly on one side or the other, the FCC seems to have pleased no one. "For six successive reports, the FCC has confirmed what is obvious to any consumer ... that the wireless market is intensely competitive, with new choices in services, applications and devices available almost weekly," AT&T said in a prepared statement. "That's why it's so disappointing that this FCC seems reluctant to acknowledge the market's success." Verizon also cited the previous reports. "Because the FCC's decision is a dramatic break from years of solid precedent, we can't help but worry that this seems intended to justify more regulation in a market where it is clear beyond doubt that regulation is simply unwarranted," Verizon wrote. But even Free Press, a communications reform group that has frequently come into conflict with carriers, criticized the report. "Although we are glad the Commission is no longer blind to a broken market, we are disappointed that it apparently lacks the political courage to acknowledge these problems by concluding that the market does not demonstrate effective competition," Free Press said.